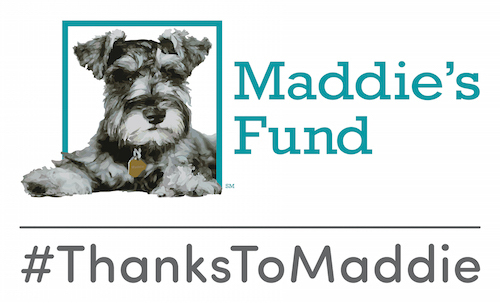 Maddie’s® Shelter Medicine Program at the University of Florida is proud to host Dr. Yoonju Cho, DVM, PhD, DKCLAM, as a visiting research scholar in 2014. 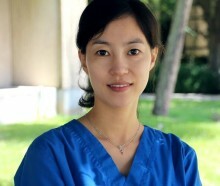 Dr. Cho is Diplomate of the Korean College of Laboratory Animal Medicine and an assistant professor at Seojeong College in Seoul, South Korea. She is spending her sabbatical year at the University of Florida as part of a research project to develop a data collection and reporting protocol for animal shelters in Seoul. During her visit, Dr. Cho is learning from Maddie’s® Shelter Medicine Program faculty about shelter management, cat population control, pediatric spay/neuter, and other shelter medicine topics. We are thrilled to be a part of this collaboration to share knowledge and learn from shelter medicine colleagues around the world! Dr. Cho is also currently enrolled as a student in the Maddie’s® Online Graduate Certificate in Shelter Medicine, learning alongside veterinary students and professionals from 26 different countries and states. Get more information about our online shelter medicine certificate program. As part of her role as visiting scholar at the University of Florida College of Veterinary Medicine, Dr. Cho delivered a presentation on animal sheltering and the care of homeless pets in Seoul, South Korea. UF vet students and faculty were given a chance to broaden their horizons and learn the unique challenges faced by Dr. Cho and her fellow veterinarians and shelter animal advocates in Seoul.